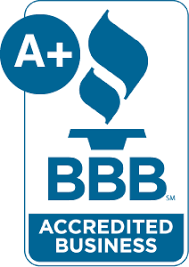 Green Cleaning Services and Products — Leticia's First Class Cleaning Inc.
Leticia’s First Class Cleaning is proud to offer green cleaning services to all of our clients on the central coast of California. San Luis Obsipo County is a beautiful place to live and we want to provide cleaning services that are powerful yet safe for our homes and environment. We believe when it comes to keeping your home or business clean and the earth safe, you shouldn't have to choose. This is why we use only non-toxic and natural cleaning products that are SAFE, POWERFUL, as well as GREEN. They say a clean home is a healthy home, but this is only true when your home isn’t full of harsh cleaning chemicals afterward. Our green cleaning services provide you with a healthier home or business by cleaning away the dust, bacteria, and allergens without using any toxic chemical compounds. We never use cleaning products that contain chlorine, phenol, ammonia, or formaldehyde because your home or business environment is no place for toxic stuff like that; toxic chemicals do not belong in the air you breathe every day. We care about your safety and your family, which is why all of our cleaning services are green cleaning services without any toxic chemicals. We believe you shouldn't have to sacrifice powerful convictions for powerful cleaners. We use products that are eco-friendly cleaners while showing dirt no mercy. Our products use biodegradable cleaning agents, which means they break down easily instead of hanging out in the ground for hundreds of years. They also have no phosphates, borates, nitrates, or other ingredients the planet doesn't appreciate. So you can get that clean feeling about your home or business while knowing you're keeping the planet clean, too. We use exclusively "Amway" Legacy of Clean® products known to be kind to the environment and leave your home smelling fresh and clean. Amway was founded in 1959 with an environmental commitment using sustainable ingredients and biodegradable cleaning agents. Many of the Legacy of Clean products have been recognized by the U.S. Environmental Protection Agency’s Design for the Environment Program. Legacy of Clean Bathroom Cleaner contains natural ingredients that clean surfaces, dissolve soap scum, and remove hard-water spots and scale. All without harmful residue or overwhelming odors. How’s that for a fresh perspective? No chlorine or other unpleasant ingredients that could harm the environment. Pursue is a leading household disinfectant, recommended for sanitizing food contact surfaces without rinsing or wiping. Use in bathrooms, kitchens, and to disinfect floors. Kills 20 different types of viruses, fungi, and bacteria - including E. coli, Salmonellacholerasuis and S. Schottmuelleri, Shigella dysenteriae, and Staphylococcus aureus (which can cause gastroenteritis, food poisoning, diarrhea, nausea, cramps, and vomiting). Did you know in 1 gram of dust there can be up to 500 Dust Mites? Cleaning can and should be making your environment healthier by removing contaminants without adding more back in, which is why we stand by our green cleaning services and products. Volatile Organic Compounds (VOCs) are the harsh chemicals that get into the air and hurt your lungs which can also create smog and lead to asthma. We really do want you to be happy and healthy, so we don’t use anything harmful when we clean. Try us and see for yourself that our cleaning services are just us powerful while being better for you and the environment.